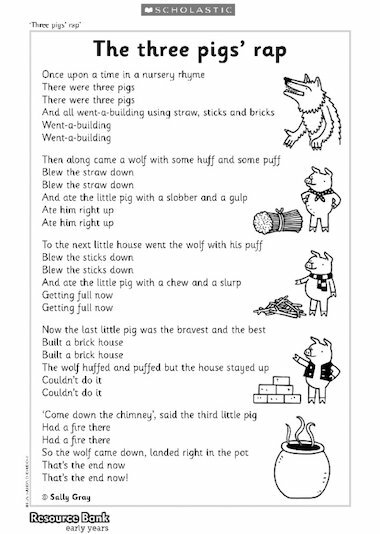 Rap along with this fun poem about the three little pigs. Thank you for all the wonderful ideas and resources provided here. It most certainly is a great help especially when I am running out of time for planning. Again thank you for easy access to these resources.